Lately, I’ve been trying to find new ways to get added fats into my day without needing to actually eat more. 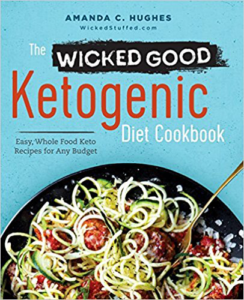 You know how it is on keto, once you’re in it, you’re not terribly hungry but you need to get in at least a minimum amount of calories. 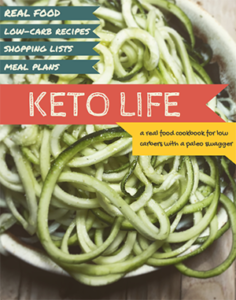 Rather than eating a knob of butter, I was really excited to come across Perfect Keto, who is my sponsor this month, and makes several different types of products for keto-ers such as flavored exogenous ketones, flavored grass-fed collagen, and MCT oil powder. It’s the perfect addition to my Avocado Fat Bomb Pudding recipe. Also, as you’re about to find out, I’ve REALLY been enjoying using it for cooking! I use it in my morning coffee just about every day, but it’s nice that I can also sprinkle it into whatever I’m making without any consistency changes while adding lots of healthy fats! Without further ado, I hope you enjoy this avocado fat bomb! If too thick, add 1 tbsp almond milk until it reaches the consistency you like. Start with 1 tbsp sweetener, and add 1 more depending on your taste. 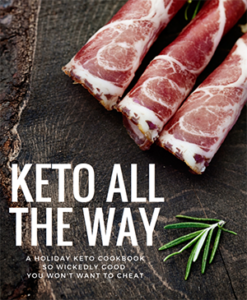 I reached out to my friends at Perfect Keto and Dr. Anthony Gustin generously obliged by letting my readers try out the new product for 20% off. 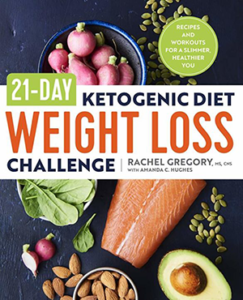 Perfect Keto products are in extremely high-demand (their keto collagen is sold out!) and I anticipate this will be the only time Dr. G extends a discount like this for the foreseeable future. I really hope you enjoy this Avocado Fat Bomb recipe. If you’re already using MCT oil as part of your day, this is a no-brainer. Without further ado, I hope you enjoy this avocado fat bomb! Smoothies are another great way to get your daily fats. Check out my post 12 Low Carb Smoothies & Shakes with 5 Net Carbs or Less next. Are the macros for 2 servings or 1? Any suggestions for the MCT oil? I am allergic to coconut. How much is considered a serving size? this is wierd, but…. did you buy that goblet in petra? i think we have the same cup/goblet thingees! can you use almond butter?